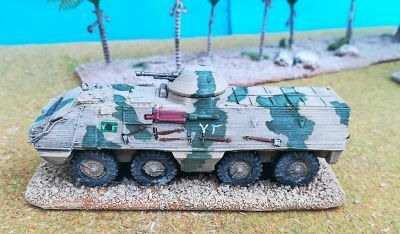 One Czechoslovakian or Polish OT-64 SKOT in 15mm or 1:100 scale. OT-64 or SKOT-1 - Original unarmed version with a different layout of hatches on the top. OT-64A or SKOT-2AP - Identical to SKOT-2A except with AA turret.